I can help you to see things clearly! I am creative, curious, observer and good listener. Before becoming a Leadership Consultant, I worked from 1985 to 2002 in Citibank Latin America. I was responsible for the coordination of Regional Treasury projects, leading multi-national and multi-cultural teams, based in Buenos Aires-Argentina and Fort Lauderdale-USA. Also, I was responsible for the Customer Service Regional Unit and the Small and Medium size Corporations Regional Unit in Latin America. As part of my duties, I extensively conducted team and project management facilitation sessions in Latin America, USA, Europe and Asia. My experience as a presenter and facilitator was acquired leading global teams. I also was a pro-bono trainer with the Citigroup Latin America Training Center, conducting sessions in English and Spanish related to Leading Teams and Managing People skills. I run my own consultancy ANZIZAR Desarrollo de Lideres, with 3 practices: Leadserhip Lab, Visual Coaching and Graphic Facilitation/Recording/Visual Thinking. As such I facilitated (and still do) programs in Spanish, English and Portuguese, in Latin America, USA and Europe to Fortune 500 companies. On the academic side, I graduated in Business Administration at the University of Buenos Aires, Argentina in 1985. 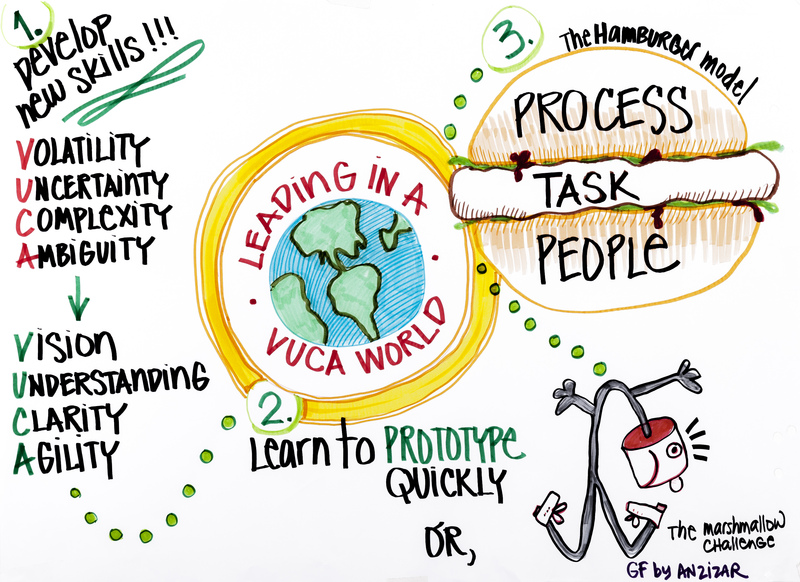 I am a MBTI Qualified Practitioner (qualified at Otto Kroeger Associates, Virginia, USA), a Graphic Facilitator (certified at The Grove Consultants, San Francisco, California and at The Lab with Brandy Agerbeck), I am a Visual Artist, and since 2015 I am a member of the International Forum of Visual Practitioners | IFVP. I live in Buenos Aires. I work around the world.